Google is almost ready with their own mobile device, likely to be called The Nexus One. Google phone will be powered by Android Operating system 2.1. Since the launch of Android operating system and later the Chrome OS, we were expecting Google to release a mobile phone. Google recently made a partnership with Verizon wireless and Motorola to make Droid series of high end handsets. So we thought there are no further plans for Google to make its own mobile device. As per popular gadget blogs, Google already released the so called Google Nexus One phone to its employees around the globe. Google phone will be manufactured by HTC Corporation who already has the credit several successful Android devices. It will have one of the fastest mobile processor on the world, Qualcomm Snapdragon 1GHZ. The Google phone is a GSM device sold unlocked. Update: Google officially announced Nexus One phone on January 5th 2010. Updated: Google Phone Nexus One price launched and now available for purchase. More information and detailed specifications are available here. We have seen several shots of the Google phone leaked on internet. Some says that it might be an Android version of HTC’s Windows mobile 6.5 device HD2 with modifications. HTC Passion (Dragon) and HTC Bravo are rumored as the Android version of HD2. This phone is expected to include a 3.7 inch AMOLED capacitive touch screen. There would be a 5 mega pixel camera a with dual LED flash. Some other says that it’s one of the device leaked with 2010 roadmap of HTC devices. Anyways it’s very sure that Google took enough research time before its decision to launch t own mobile device. The growth of Android market place, its open source label, Google’s marketing power and HTC expertise in smartphone manufacturing might prove Google phone as a successful device and threat to Apple iPhone 3G S in the coming years. We are keenly waiting for the official specification and photos to arrive. Nexus One Camera: Probably 5 mega pixel with autofocus. Quad-band GSM and 3G support. WVGA high resolution touch screen with accelerometer and other sensors. On screen keyboard and Trackball navigation. 5 mega pixel autofocus camera with dual LED flash. For some reason we are sure that Google won’t follow Apple’s kind of pricing scheme with its phone. The preliminary information shows that it has enough goodies needed for a top level smartphone. We are not sure about the price at this time. However, if there’s Snapdragon,AMOLED touch screen, graphics processor and around 8-16 GB memory, the price of Google phone Nexus One could be around 600-750USD. So that’s approximately 30K-33K in India. Update: The upcoming Google phone is almost confirmed as Nexus One. As per reports Google applied for trademark registration of Nexus One name. Still there’s is no confirmation on the price and plans. Few blogs reports that it would be available at 99$ (with rebate) for contract and 500$; without. However, few features of the Nexus One are now available*. Expandable card slot; 4GB included. A GSM device sold unlocked. Tri-band 3G (7.2mbpsD& 2mbpsU,quadband EDGE, both depends on network. No multi-touch*: Multi-touch is a feature that enables the users to use more than one finger one the device screen, to zoom in web pages, move over and all. This feature is commonly found in Apple iPhone, HTC HD2 and few other devices. It would be a loss for the Google phone lovers if multitouch is not there. Price of Google phone: 529$ for unlocked Nexus One. Nexus One on service agreement: 179$ for 2 year contract with T-mobile USA. *Note that this article contains preliminary information on Google’s upcoming phone Nexus One collected from various sources. This can be changed with future announcements. Update : Multi-touch and pinch to zoom now available in Nexus one. Update: Google Nexus one is now available with Verizon wireless CDMA network in USA for the same price of GSM model. 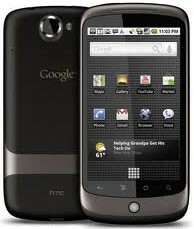 Update: HTC announced HTC Desire, a phone very similar to Nexus One in specifications and design plus HTC Sense and support fro Flash. 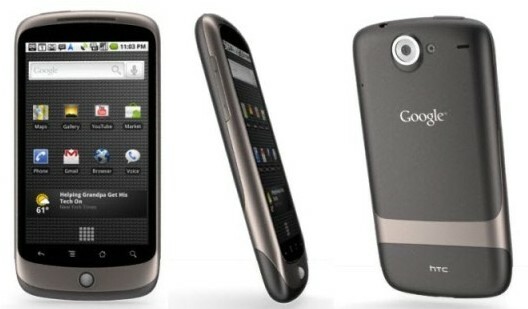 Update: Google announced Nexus S.
Google Nexus One has great specifications and looks. But the fact is that it cannot win the race with Apple iPhone. It would be possible, but for at least 2-3 years iPhone will be king. You said in the specifications that Nexus one has dual LED flash. But I can see only single LED. And camera looks like it has only 3.15 mega pixels. Hey can anyone confirm the price and launch date of Google phone? I really want to get one. i wich countries is it available ?? can anyone tell me ?? The phone can be bought and used in most countries as it is old unlocked. Price in India is around 35k. N1 is only available in US, UK, Hong Kong and Singapore. does any one knows Google phone can upgrade the firmware by end user ? If You Want To buy Google nexus one mobile contact me. Can someone please tell me exactly how much is the google nexus one phone for because i want one for my birthday which is in like 4 days. I have seen postings in ebay (www.ebay.co.in) where phone is sold for 32000 + shipping. Thats is a good deal. wow!dis fone is awesum!!!!!! !m getin it after my tenth only if i score gud marksssssss!